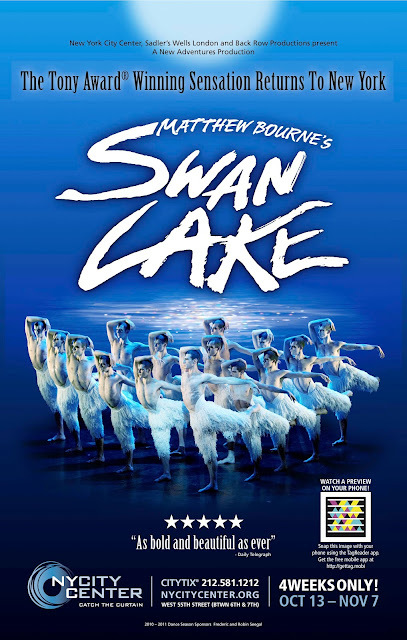 I first came across QR (Quick Response) codes in June of 2010 when City Center in New York added one to the poster for Swan Lake. 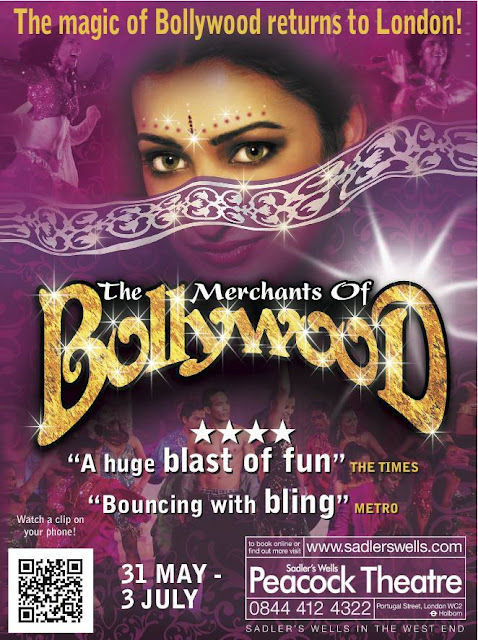 Since then we have experimented with them at Sadler's Wells adding them to posters for shows at the Peacock Theatre like Shoes and Merchants of Bollywood, and increasingly on adverts. The technology is easy to use and well worth experimenting with for theatres that have video. If you have not come across them yet keep your eyes open. You may notice small white boxes on adverts filled with patterns of black and white squares like the one below. When the image is scanned by a tag reader on your phone it can be used to link to a video clip or other content. So far views have been relatively low (129 for the Metro ad below) but I think they will increase as more and more people become aware of what these codes are and also as they are used more on adverts, leaflets and in season brochures. 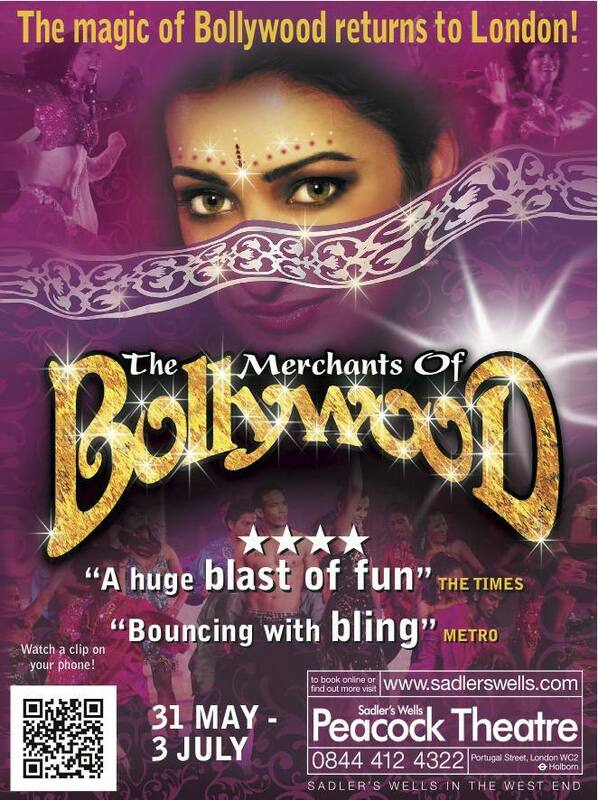 In London adding codes to ads in papers like the Metro and Standard will probably become the norm. Certainly every morning on the way to work everybody around me seems to have the Metro in one hand and a phone in the other. The great thing about this technology is the fact you can access all the stats so you know if they work. You can look at video views by the day of the week, time of day and at the users location at street level (including two from Wembley for Merchants which was reassuring!). You can also see whether the viewer is accessing via a mobile (iphone, android, blackberry) or from a desktop. Exciting stuff and above all an easy way to get more use out of the video you already have.